When Marvel announced its new line-up of relaunched comics for the start of the “All-New, All-Different Marvel” campaign this October, one character was noticeably absent: Black Panther. The king of the African nation of Wakanda, T’Challa is slated to make his big-screen debut in next year’s Captain America: Civil War, so where was his ongoing title? 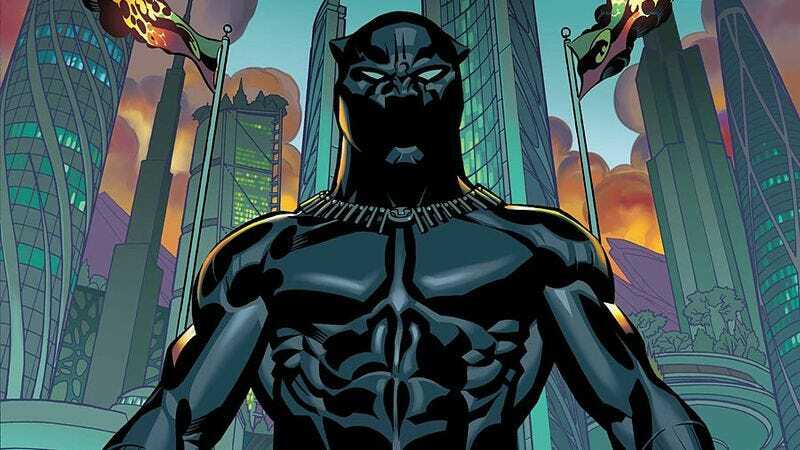 Earlier today, Marvel announced via The New York Times that Ta-Nehisi Coates, national correspondent for The Atlantic and author of this year’s National Book Award nominee Between The World And Me, would be tackling T’Challa’s story as the writer of next spring’s Black Panther ongoing series, a surprising but very welcome decision considering the publisher’s ongoing problems with creator representation. With Brian Stelfreeze on art duties, Black Panther has a very exciting creative team, and blending Coates’ politically charged writing with Stelfreeze’s rich, atmospheric artwork makes this series an especially intriguing launch for “All-New, All-Different Marvel”. Coates and Stelfreeze’s yearlong arc, “A Nation Under Our Feet,” is inspired by Steven Hahn’s 2003 book of the same and details a violent uprising in Wakanda after a superhuman terrorist attack, and it will be fascinating to see how Hahn’s book about the political struggles of black Americans in the late 18th and early 19th centuries will influence the superhero narrative. Black Panther is Coates’ comic-book debut so there’s a bit of risk in Marvel’s decision, but hiring a smart, strongly opinionated outside voice with clear affection for the medium (see: Coates’ Twitter feed or Atlantic blog posts) and partnering him with an immensely talented veteran like Stelfreeze could pay off handsomely for the publisher.